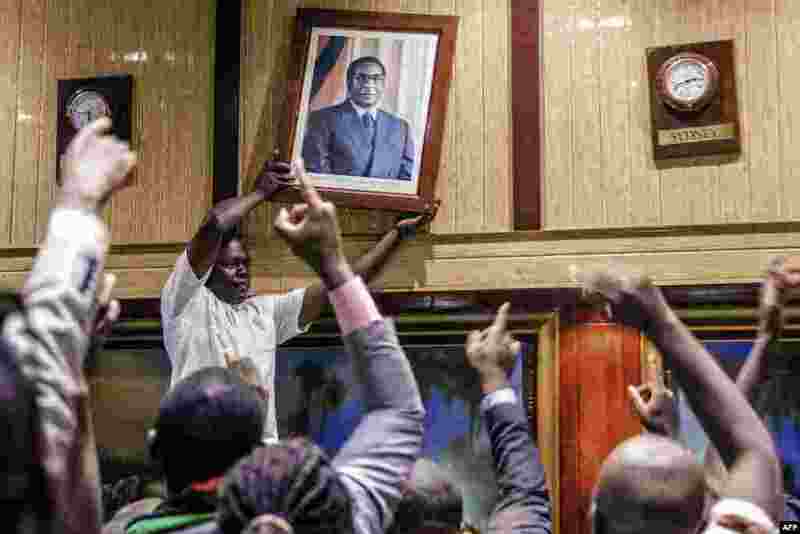 1 A man removes a portrait of former Zimbabwean President Robert Mugabe from the wall at the International Conference Center, after his resignation in Harare. Mugabe stepped down after a 37-year reign of brutality and autocratic control crumbled within days of a military takeover. 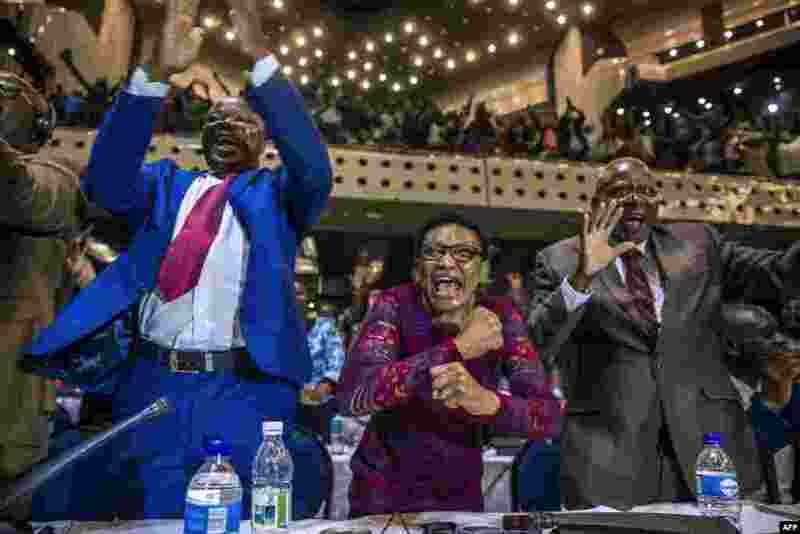 2 Zimbabwe's members of parliament celebrate after President Robert Mugabe's resignation in Harare. 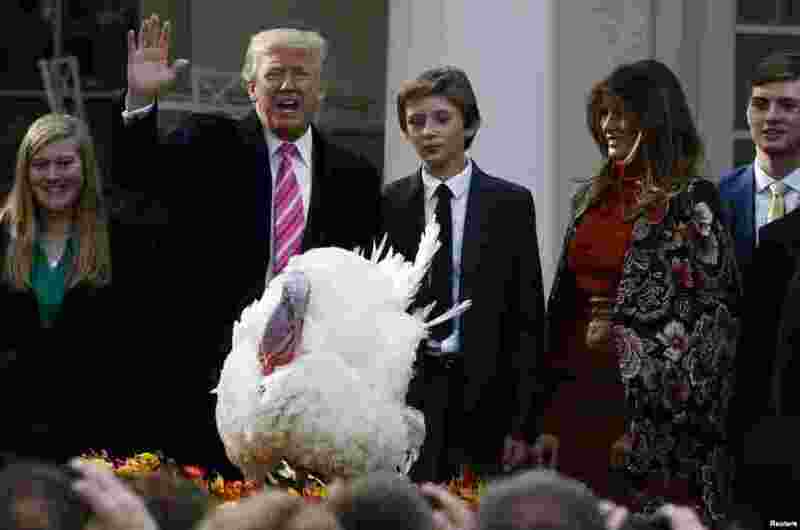 3 U.S. President Donald Trump participates in the 70th National Thanksgiving turkey pardoning ceremony, as son Barron and first lady Melania Trump look on in the Rose Garden of the White House in Washington. 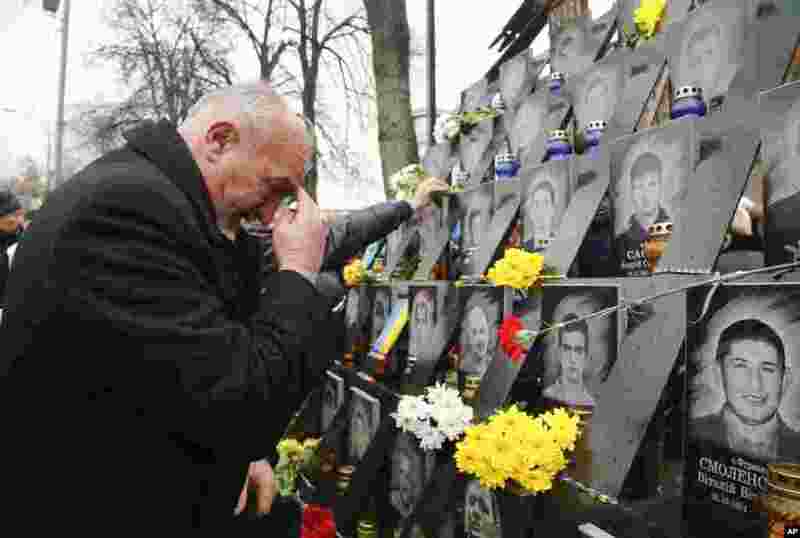 4 A man pays his respect at a memorial dedicated to people who died in clashes with security forces, at the Independent Square (Maidan) in Kyiv, Ukraine, to mark the fourth anniversary of the start of the protests.